ASRS - Warehouse and Distribution - Automatic Systems, Inc. 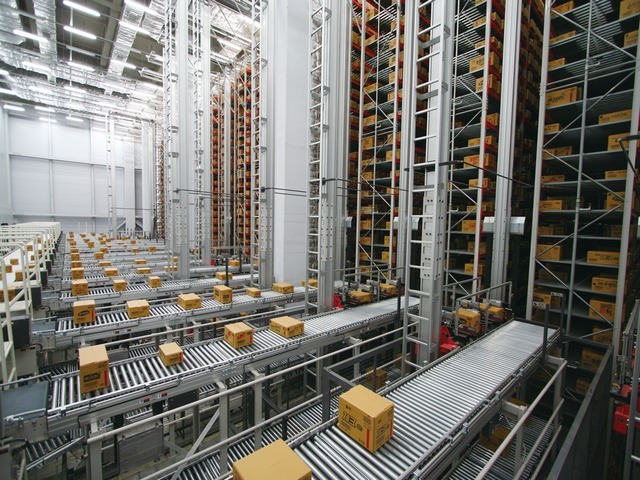 Automated Storage and Retrieval Systems (ASRS) are best suited to applications where high volumes of inventory move in-and-out of manufacturing or distribution operations. Generally, with manufacturing, you would use an ASRS for Sequence Buffering, Kitting Operations, Work in process (WIP) or storage of a finished product. Distribution and Warehousing operations generally utilize ASRS for Goods-to-Person picking, Dynamic Replenishment, and Order Consolidation. 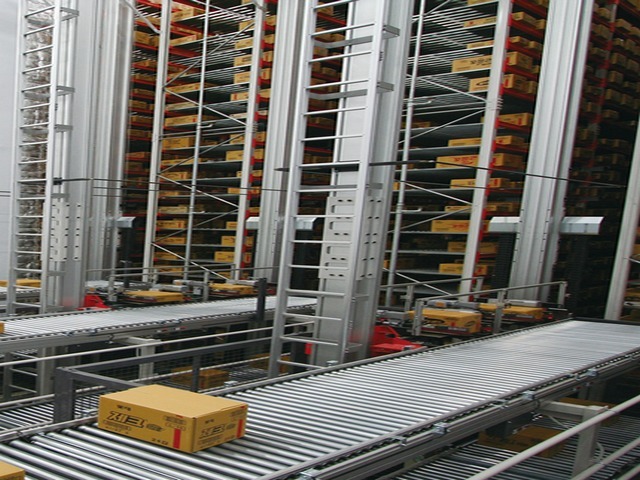 Using an automated storage and retrieval system increases throughput and efficiency as well as saving space by minimizing the floor footprint used by going up instead of out. Automated storage and retrieval system can benefit brick & mortar, Ecom, and Omni-Channel operations across manufacturing, food & beverage, medical & pharmaceutical, apparel, tech, etc. There are two different types of ASRS crane systems which are Unit Load and Mini-Load. Unit-load ASRS’s typically handle larger payloads of goods and material (hundreds to thousands of pounds). Generally, these systems handle or move full or partial pallets. A unit-load automated storage and retrieval system is a great option when you need additional pallet-level storage, have limited space and ready access to the product is vital. 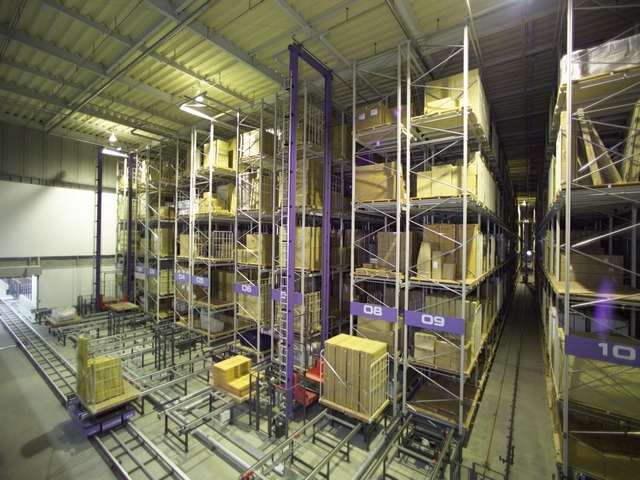 Typical versions of unit-load ASRS are fixed-aisle and aisle-changing cranes. Mini-load ASRS in comparison typically handles smaller or less than pallet size loads of product. Instead of full pallets, mini-load automated storage and retrieval system’s handle totes, trays, bins, cartons or boxes. These systems are also called “case-handling” or “bin-handling” systems. Mini-load ASRS is especially suited for operations that require storage locations for a large number of SKUs but don’t have the floor space needed for more traditional solutions like rack or carton-flow shelving to provide a pick face for each SKU. 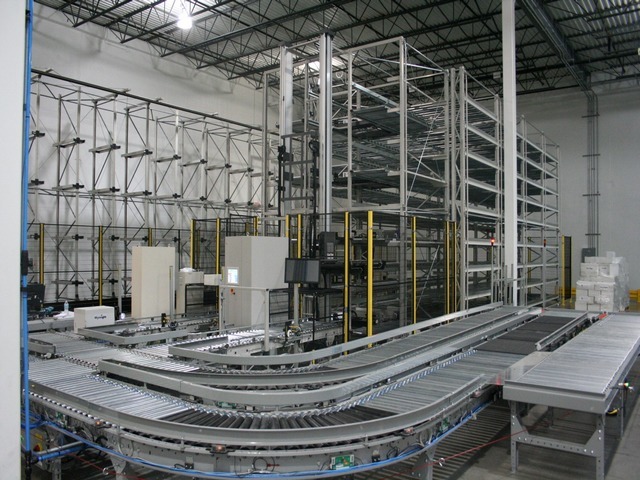 You can also use mini-load ASRS systems to buffer, efficiently release and sequence product to picking or palletizing stations as well as replenish pick faces automatically.